Anxiety disorders have been plaguing America’s children to a significant degree and are now one of the most common behavior health disorders of today’s school age children. Anxiety, often in conjunction with depression, is found to be a key determinant of school refusal (historically diagnosed as School Phobia) which is now estimated to affect as much as 5% of all school children. 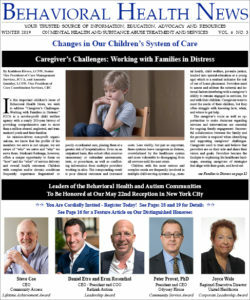 (CDC, Data and Statistics on Children’s Mental Health, 2015) Unlike truancy, which is largely a conduct disorder, school refusal encompasses children from kindergarten through high school who may be experiencing mild separation anxiety as well as more severe cases where a student may miss weeks or months of school because of debilitating anxiety or depression. (M. Wimmer, School Refusal: Information for Educators, 2010) There are serious longterm social and educational consequences associated with missing school, and school refusal has become a major concern for children, parents and schools alike. Effective programs are urgently needed to address critical underlying social, emotional and educational issues and serve to facilitate regular school attendance, which is the optimal outcome in most instances. Accordingly, this article describes the components of The Transitions Program at First Children Services and includes an illustrative case study. 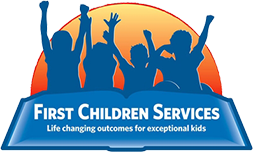 The Transitions Program at First Children Services enables parents and caregivers to begin confronting and resolving school refusal in their children. School refusal is addressed by moving home bound students into a center-based instruction team of professionals. The program serves students ranging from middle through high school grade levels. Meeting the mandates of the State core-curriculum, students are offered courses in every academic area, spanning ability levels from moderate to honors. Each of our State certified teachers follows a curriculum which changes our students’ lives by nurturing a passion for learning within a therapeutic environment – a model which is designed to foster life-long academic skills, reflection and emotional stability. The program goal for middle school age children is reintroduction of our students to their home school’s classroom setting in most cases. For high school age students entering the program, the targeted outcome is often to buoy their social-emotional growth and maximizing academic attainment, while guiding them through high school graduation and beyond. At present, 25 New Jersey school districts send their students to our Transitions Program. Daily instruction is delivered in small group, limited to no more than six students in a class setting. The comprehensive program includes individual and group counseling, offered by a staff of licensed clinicians. Once enrolled in our program, each of our students is administered the Beck Youth InventoriesSecond Edition (BYI-II). The BYI- II are five self-report scales that measure the student’s experience of depression, anxiety, anger, disruptive behavior, and selfconcept. The results help articulate the social-emotional status of each student, enabling staff clinicians to utilize specific therapeutic interventions while tracking clinical progress over their time in the program and prior to IEP or parent progress conferences. Our clinicians employ contemporary approaches to therapy based on individual needs. Interventions include mindfulness, cognitive-behavioral, and dialectical-behavior therapy. Each student receives a minimum of 40 minutes per week of individual therapy and 45 minutes per week of group counseling sessions. Additionally, our students attend a 45 minute weekly social skills group which employs the evidence-based Skillstreaming curriculum. This facilitates development of interpersonal competencies which enable the re-entry of our students to their sending school districts or to confidently pursue post-secondary education. Our academic and social skills programs, in sum, are crafted to prepare students to function independently in today’s complex society. This 16-year old High School student had been homeschooled for 3 years prior to placement in our program. At that time, her diagnoses were severe mixed anxiety disorder with severe functional impairments, generalized anxiety disorder, separation anxiety (severe), school phobia and avoidance, somatic preoccupation, and agoraphobia. She was prescribed Zoloft and Intuniv. She was essentially a prisoner in her own home with a severe enmeshment with her mother. Her anxiety surfaced when she was in 6th grade and her grandmother died. Soon after, she had her first panic attack at school. This is when she stopped attending school. Her first visit to our program appeared unsuccessful. The student sat in the car for about an hour before entering the building, only to leave after five minutes. These five-minute visits went on for nearly two weeks before there was a breakthrough. Five minutes then became fifteen minutes. Fifteen minutes led to an hour – then, a half-day. To many, five minutes in class does not seem significant. However, her anxiety, present since the age of 11, affected not only her “refusal” to go school, but every aspect of her life. As a sixteen-year-old, she had never been left alone as she literally clung to her mother. The entire family was in her personal prison with her. At the Transitions program, each plan is customized to meet a student’s needs. In this case, her plan was layered with multiple supports. First, we gave her the tools to navigate overwhelming anxious moments. She was introduced to mindfulness coping strategies that created a path for her to control her emotions. In tandem with the mindfulness approach, the student met every morning with a clinician. The sessions were initially forty minutes and focused on developing and practicing coping skills, deep breathing, and positive affirmations. She was also permitted 5- minute breaks during the day as needed to practice her coping skills when her anxiety became overwhelming. These sessions, over ensuing months, were faded to once per week morning check-in sessions along with “as needed” sessions for particularly anxious moments. She was also assigned a staff behavior technician to assist her with executive functioning that included hygiene, organization and socialization. She retained the support staff for the following school year. During the summer of 2018, this student enrolled into a physical education course at her home high school. She was successful in completing her coursework and interacting with other students and teachers. In fact, it was the Transitions Program staff’s recommendation that the student be enrolled for several courses at her sending school during the 2018-2019 academic year. Unfortunately, the sending high school was unable to accommodate this student’s needs due to scheduling conflicts, so she opted to remain here at the Transitions Program as a full-time enrollee. This Transitions Program participant is now an outgoing, happy teenager who has learned to manage what once was debilitating anxiety. She now mentors’ new students, helping them to manage their catastrophic thoughts and proudly shares her story about starting in the parking lot. Her school attendance has improved to close to eighty percent. Academically, she exceeded the expectation of her sending district and is poised to complete the program in June, 2019. This student, once ridden with severe anxiety, now has friends, goes shopping, and even boasts of sleepovers! 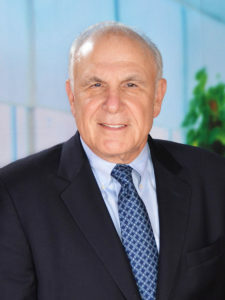 For more information about the Transitions Program, please contact Jay Cohen at jcohen@firstchildrenservices.com or (856) 888-1097 ext. 321.